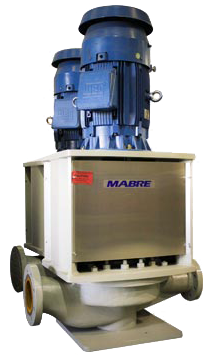 The design philosophy of the Mabre lines of OH1 and heavy duty process pumps is to provide the right pump for the right service. Our OH1 line complies with ASME B73.1, and provides a cost effective fit for purpose solution. Our heavy duty process pump line is ideal for demanding oil and gas applications where API 610 is not required. CPC Pumps manufacture the largest hydraulic range of engineered API 610 process pumps. In services that do not require API, but have unique hydraulic requirements suitable for centrifugal pumps, CPC will have an optimized fit.